After the initial failure described in yesterday’s blog post about the RatRacer, I thought I would scale down the problem a bit. 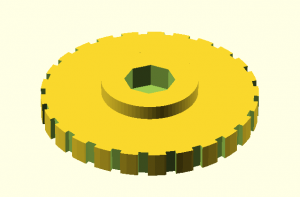 I figured it would be easier to iterate through design tweaks when big parts took 20 minutes to print versus 120 minutes per part. 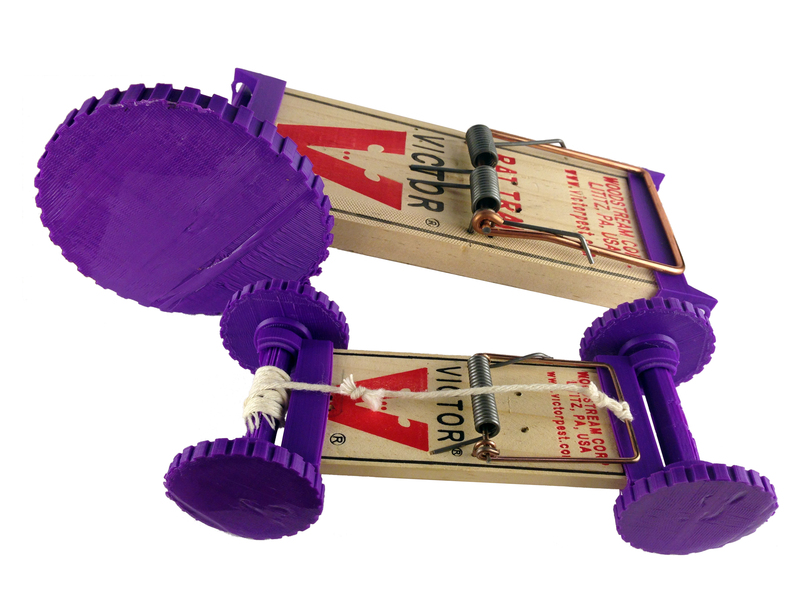 If I ended up with a sound design for the mousetrap car, then I could scale it up to the multivariable problem of both designing for the rat trap car and working through print issues. While at the hardware store for something unrelated, I picked up a 4-pack of little mousetraps for $2 on impulse. 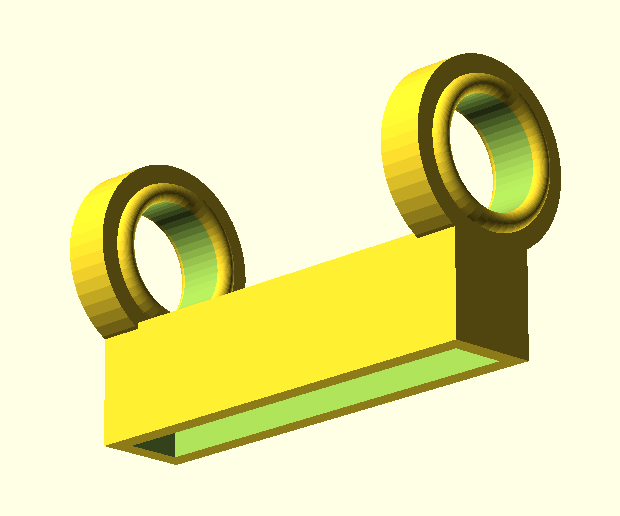 Fortunately, the OpenSCAD models I designed for the RatRacer were parameterized. After taking some initial measurements with my trusty calipers, the axle and wheel were trivial to scale down to mousetrap size. They took about a minute each, including render time. The end caps took a bit more work. Those needed a much larger redesign, as the axles in the RatRacer are small compared to the thickness of the rat trap, but the axles on the Mouse Car are thicker than the mouse trap. 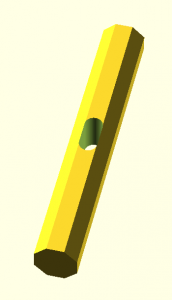 Although the design is a bit different, the concept is exactly the same. The finished car itself looks pretty snazzy and only took one revision (to increase the axle length slightly). 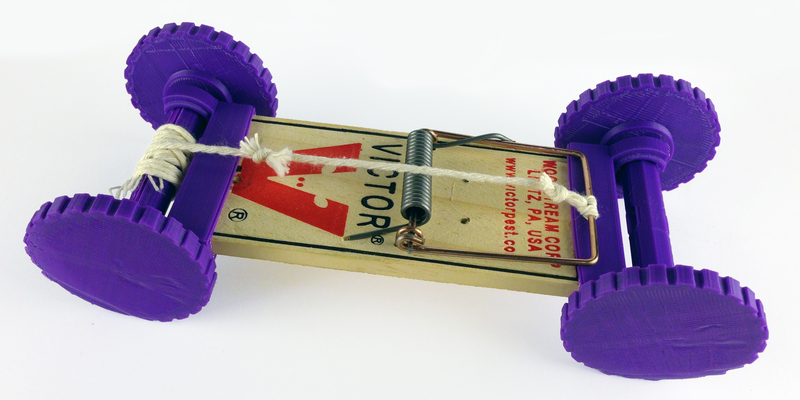 Like the RatRacer, you pull back the bar, wind the string around the axle, set it on the ground, and let go. 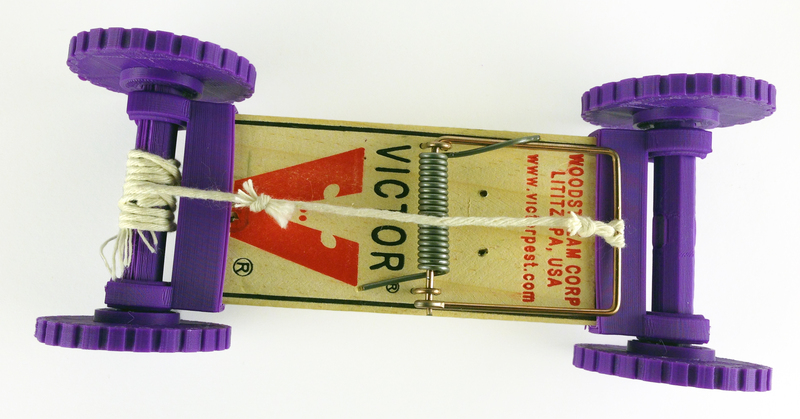 Unfortunately, even the less-powerful mousetrap spring is still too powerful. It pulls too hard, yanks the string too hard, the wheels spin out, and when they finally gain traction, there’s only enough power to move a foot or two. A friend had suggested adding an extension to the snappy part. That would increase the linear momentum for the same angular momentum, which if it were rigid would make things worse, but if the extension was a bit more flexible, that could better meter out the pull. That may be a future addition. For now, the Mouse Car in its current form is available on Thingiverse. Its big brother, the RatRacer is also available.